This post is sponsored by A.O. 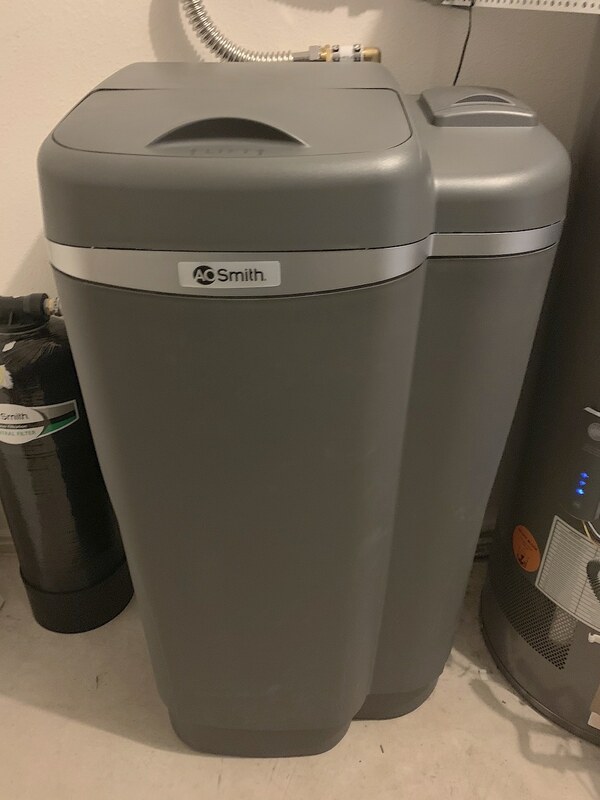 Smith water treatment systems, available at Lowe’s. Toward the end of our master bathroom renovation, we made the mistake of turning our shower on for a brief second to test it as soon as the doors were in. It splashed only a little and didn’t run long, but we were so excited that we completely overlooked wiping off the shower door. We came back 15 minutes later to hard water stains all over our new glass doors. It took some time and cleaning products to get it clean (see the whole process in this IGTV video we did on it), and we’ve been careful to squeegee the glass every time since. But it got us thinking about the state of the water in our home and what we could do to improve it. “Hard water” refers to water with high amounts of calcium and magnesium. While it’s not necessarily a health risk, it can do a number on your pipes, make your soap less effective, and damage your skin and hair. A water softener essentially replaces these minerals with salt, which doesn’t have the same negative effects. Our A.O. 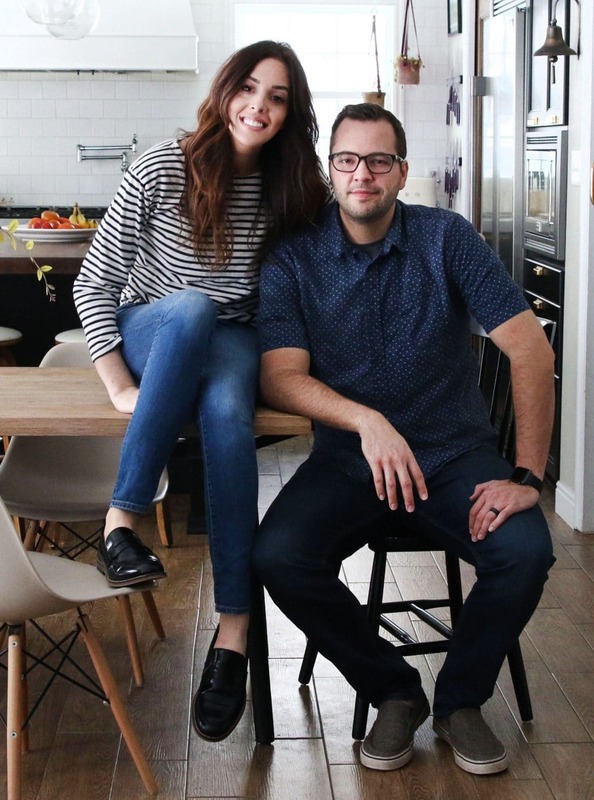 Smith unit ($497) automatically senses our homes usage and adjusts to work more efficiently. It also has a digital readout that tells you how many gallons you have left and alerts you when more grains need to be added. Tap water contains a fair amount of chlorine, as well as sediment and other things that negatively impact the taste of the water. The chlorine can also negatively impact the air quality in your home as it evaporates. 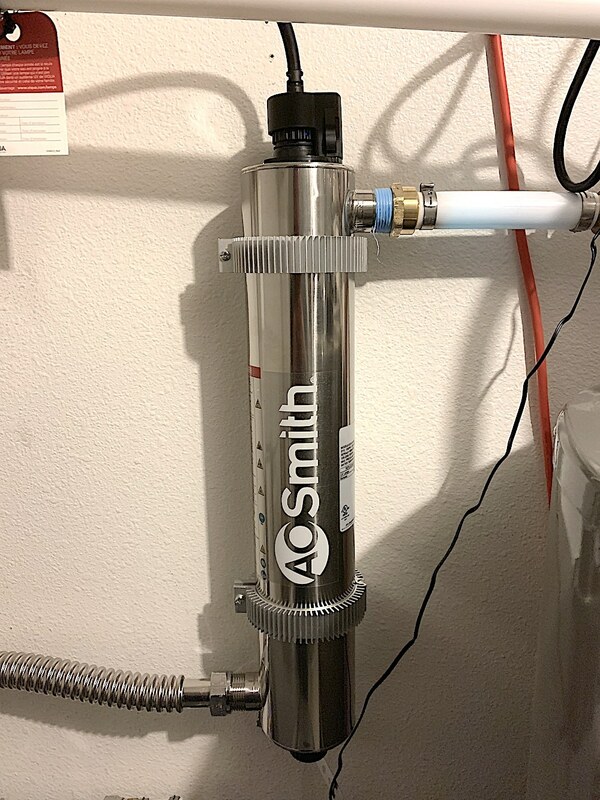 Using a Whole House Water Filtration System ($299) has not only shown to improve the taste of drinking water, but can improve the air quality in your home as well. Our filter lasts for 6 years, or 600,000 gallons! On top of making water taste bad, sediment also clogs plumbing and can damage appliances that use water (washer, dishwasher, water heaters etc.). 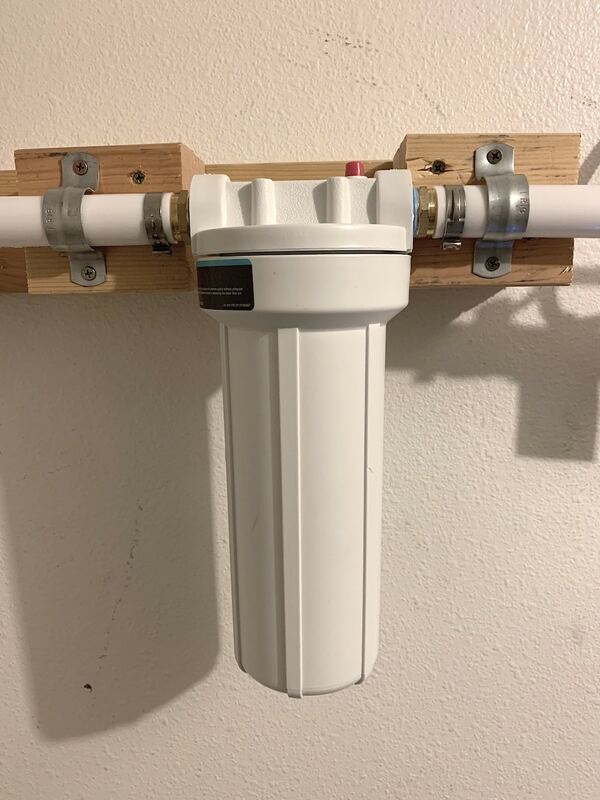 Though it may seem redundant to add a Sediment Filter ($19) onto a Whole House Water Filter, they each specialize in removing different things from the water. Using both, with the water passing through the sediment filter first, lengthens the life of the Water Filter while improving your water that much more. As effective as the Water and Sediment Filters are, there’s one thing they can’t remove – microorganisms. Bacteria and viruses are another danger in drinking water, and they can’t simply be “filtered,” they have to be killed. The UV filter ($499) does just that, removing harmful microorganisms that may otherwise go unchecked. Another option (we didn’t get) is a Descaler ($299). Though it doesn’t actually soften water, it can be used in place of a water softener where space is limited and your water may be provided through a city that treats the water already. What a Descaler does is adds an electrical charge into water that makes it less likely to leave behind limescale. This can help keep pipes and other water filtration equipment clean from limescale buildup. So as you continue to work on improving your home, don’t forget to take a look at your water and what you can do to make it healthier for you and your family. Not every house needs every one of these types of filters. 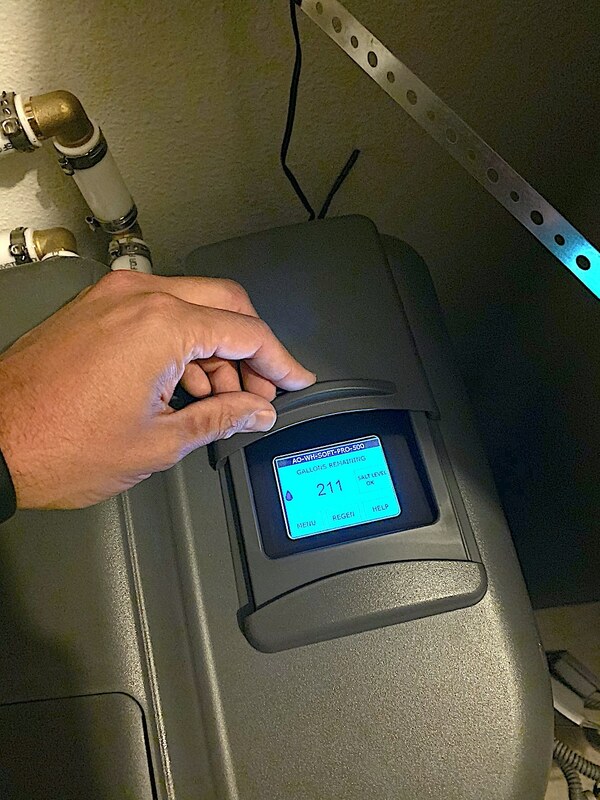 It’s a good idea to get your water tested to determine what issues your home and water face and prioritize what parts of the system make most sense. There is a clear, positive difference in the taste and odor of our water, along with a significant reduction in limescale and other hard water problems. Check out A.O. 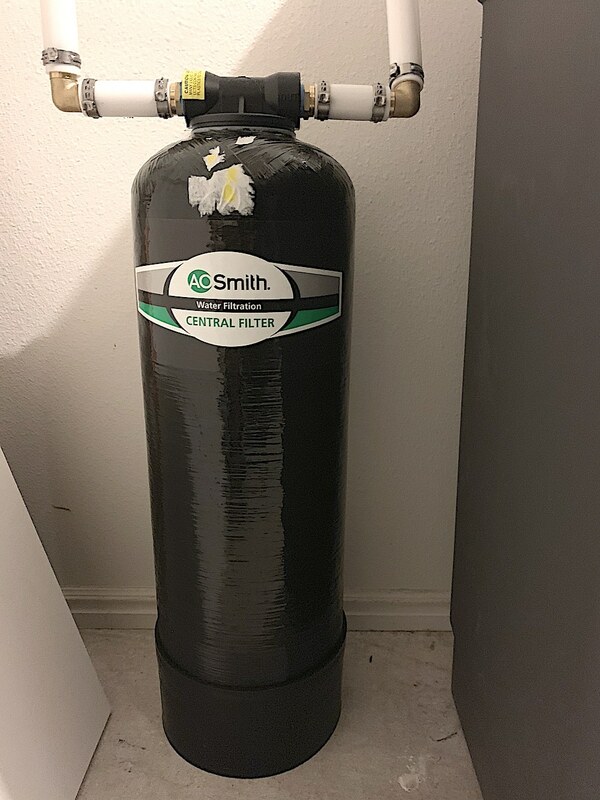 Smith’s water filtration and water softening systems at Lowe’s. 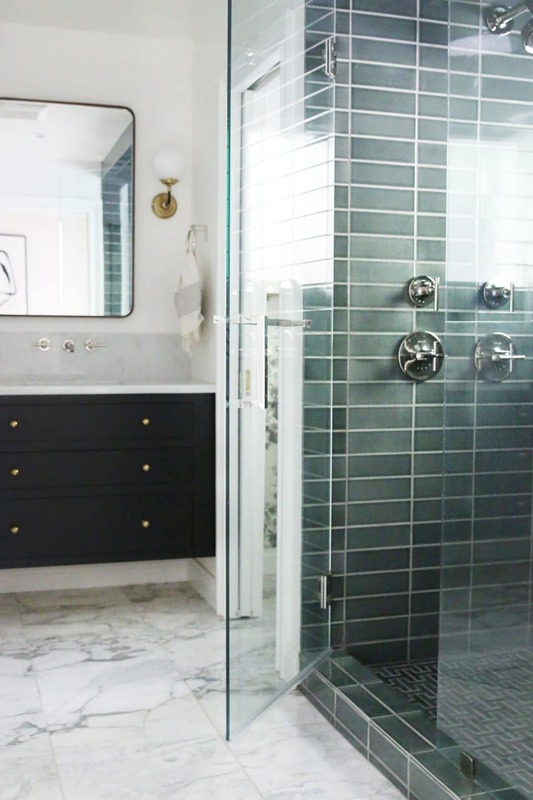 After adding these things, do you still have to squeegee your shower doors every time? 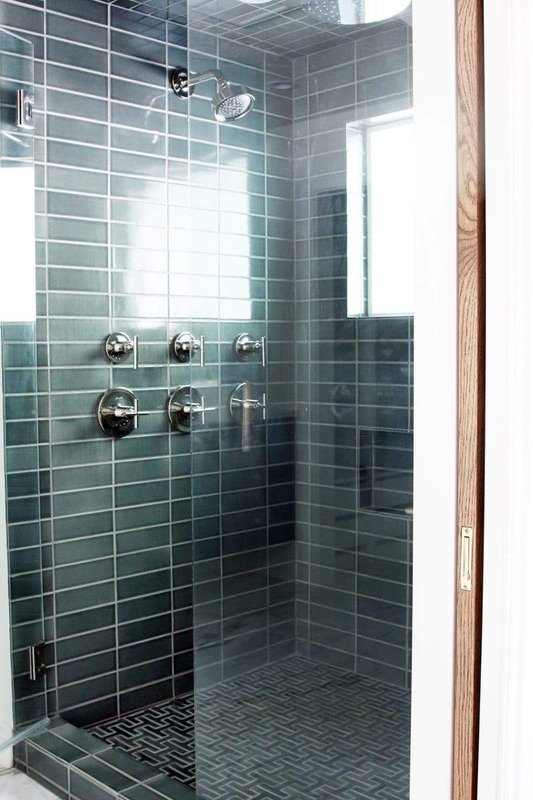 We have glass doors on our shower and after every shower I almost forget that I have to do that, and get annoyed when I remember it has to be done haha And hard water spots are so hard to clean! Oh my goodness–I’m so in the habit, I wonder if I can stop?! How often have you had our will have to refill the water softener with the salt? My husband doesn’t want one because of this! Maybe once a month or so. If he doesn’t want to deal with that, you could look into the Descaler option. Cuts down on limescale/water spots, but no salt to change out. I’ll be curious to hear if your hashimotos has positive effects from cleaning up your water source! I’ve cleaned up my diet drastically and it improved, hoping for the same with our water. Do you have any recommendations on how to test your water? There are a few ways–You can buy a test kit from the hardware store or online. The kits usually come with a package of strips that contain reactants that change color to indicate the presence of various contaminants in your water. Also, county health departments will help you test for bacteria or nitrates for free. If not, you can have your water tested by a state certified laboratory. You can find one in your area by calling the Safe Drinking Water Hotline at 800-426-4791. Hope that helps! Great info! I would just make sure that if you add a water softener, your sprinklers/hose bibs/all outdoor watering should be untreated (upstream of the softener). The salt in softened water will ruin your soil over time and kill your plants. I also would use untreated or bottled water for indoor plants as well just to be safe. There’s a reason ‘salting the earth’ was what you did to your conquered enemies! Were these self-installed? If not, how much was installation? We’ve been thinking about something similar for a long time and it’s great to see this breakdown – Thanks!! My last house had a water softener and I miss it! Not that our well water is bad, it’s actually really great to drink. But it is a bit annoying in the shower and the dishwasher.